Wearing a cardigan against your bare skin, with nothing underneath, is an evocative and delectable experience. The V-collar lets us subtly reveal some fine lace and delicate jewellery. 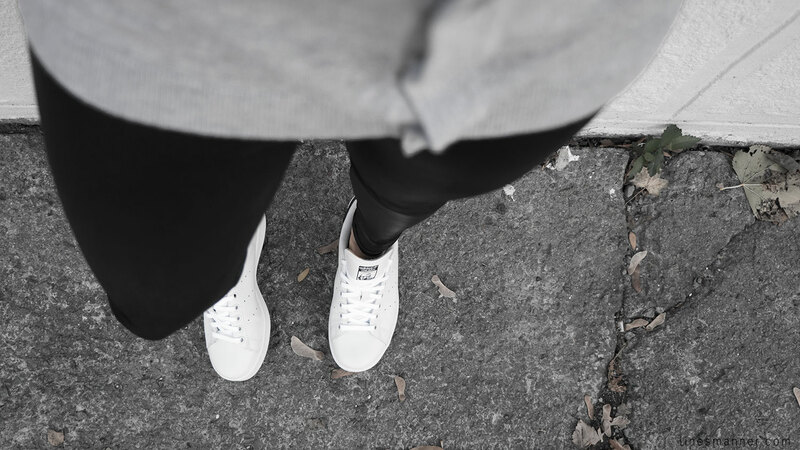 Lines/Manner opts for a sporty chic look with a clean and classic pair of timeless Stan Smith. In love with your outfit! Casual. sporty yet elegant. Your lace and silver chain details are magnificent! Glad you love it! Thank you!